Today Govt Job Circular in Bangladesh. Here you can see recent and latest Govt job circular in Bangladesh. All the Govt Job Circular which is published daily on their official website and daily newspaper, you will get those job in one click. Here we made for the best way to know the Govt job circular in Bangladesh. Bellow you have to see the latest Govt job circular and new published list. As your desire Ministry, Bank, Education, Hospital and others department just click the name and see the job list. Recent published BD Govt job circular in one click. Then job circular will appear. You will see the job tile and Application Deadline, Also Picture of this Job circular as JPGE file. Just click Download JPGE file and Save it in your Computer or Mobile. If you download see the circular full then click your Right Button and select Save Image As“. Armed Forces Division AFD Job circular. Ministry of Agriculture Job circular. Ministry of Civil Aviation and Tourism MCAT Job circular New. Power Division PDB Job circular. Ministry of Environment and Forest MEF Job circular. Ministry of Public Administration MOPA New Job circular. Ministry of Fisheries and Livestock MOFL Job circular. Internal Resources Division Job circular. Ministry of Home Affairs MHA Job circular. Ministry of Industries Job circular. Law and Justice Division Job circular. Ministry of Land Job circular. Local Government Division Job circular. Rural Development and Co-operatives Division Job circular. Ministry of Planning Job circular. Information & Communication Technology Division Job circular. Ministry of Shipping Job circular. Ministry of Expatriates Welfare and Overseas Employment Job circular. Ministry of Science and Technology Job circular. Division wise Job circular. District wise Job circular. University Job circular. Besides those Ministry some others Ministry and department job circular will be updated. Also the project job circular under various ministry including Education and Health job circular will be updated in this list. It is the best opportunity for the job seeker that in one place you may find all the Bangladesh Govt job circular will application deadline. Check the job circular. Candidates will get today Govt job circular of Bangladesh in this news. After that where you will do online line application of the respective job. For that, you can search by the Job Title in our search box above or side bar. Online Application will available in our site as well. Best of luck for the job seeker. Here you will get www bdjobs com, www chakri com and www bdjobstoday com all the online job portal where BD Govt job circular updates regularly. Also those Today Govt job new circular automatically update. So you should visit this page more then one time in a day to get new Govt circular today and keep latest update. Govt job circular 2018, job circular of primary school teacher, ngo job circular. bd govt job circular 2018. bank job circular. new job circular 2018. recent govt job circular 2018. all govt job circular 2018. govt jobs apps. job circular of pubali bank. all jobs bd newspaper. ngo job circular. job circular of primary school teacher. bank job circular. 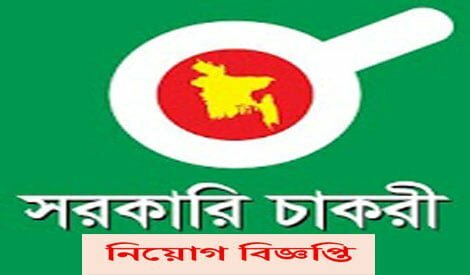 primary job circular 2018. weekly job news. prothom alo govt jobs. bd govt chakrir khobor. bd job news bangla. government job news bd. diploma engineering job in government. job circular apps. daily jugantor job circular. govt bank job circular 2018. bangladesh police job application form. www bank job bd. new govt job circular. government job circular 2017. bd govt jobs. govt job bd. govt job circular. bd govt job. government job circular. government jobs circular 2017 in bangladesh. www recent govt job circular bd. government jobs in bangladesh 2017. new job circular. recent govt job circular. today job circular. bd jobs circuler. bd gov job. bd jobs govt today. today govt job circuler. bd all job circular. recent bd govt job circular. today govt jobs bd. It is automatically updates daily.